You say tomato, I say. . . 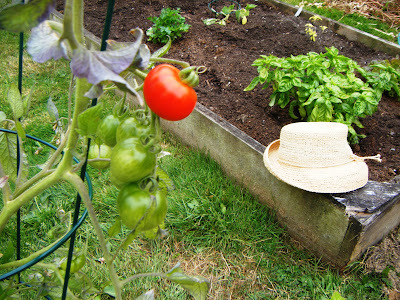 Check out Karen Gaudette’s Seattle Times story today re: prolonging the life of your produce. Among the helpful hints was a quote from supermarket anaylst and “Today” show food editor Phil Lempert, who says to better horde your harvest, stick with that old standby: paper towels. Lempert suggests layering a paper towel in the bottom of the crisper drawer (something I do) and regularly replacing it (something I don’t do often enough) — which helps remove excess moisture. “A paper towel is produce’s best friend,” he says. Anybody have any other produce life-enhancing tips? Feel free to comment, below.